Fly over these cutting-edge prefabs at your own peril, modernists. 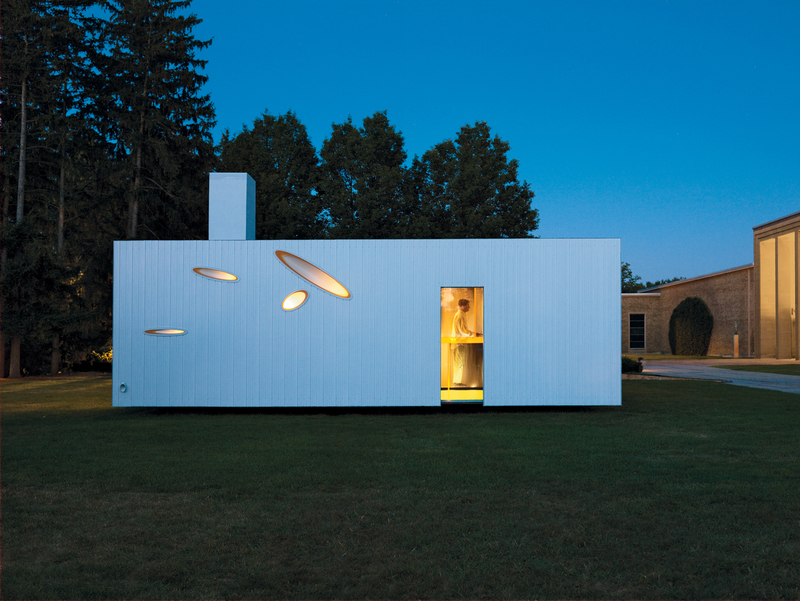 “It is the culmination of everything—the digital technology, the prefabrication techniques, and more formal architecture—that I have brought to my designs,” says architect William Massie of his Bloomfield, Michigan, prefab home. Rocio Romero's prefab home is located in rural Missouri and subtly reflects the regional vernacular. “When you design prefab, it’s not just having a grandiose design everyone’s going to love; it’s also stepping back and thinking about how things get built. Every little step is important and informs how [the house] gets put together and how it gets designed,” she says. Intelligent, appealing, and affordable, Charlie Lazor’s user-friendly FlatPak just might be the project that revolutionizes the prefab industry. Here, a front view of the FlatPak House in Minneapolis, Minnesota. A prefab Wisconsin summer home stands up to the elements while embracing the greenery just beyond its doors. At 1,100 square feet, a modular retreat in Michigan follows the gentle slope of the land, with large windows that allow in ample light.